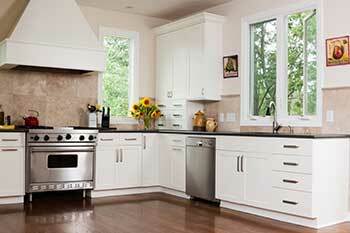 Many may muse that the kitchen is the heart of the home, while others may call it the headache of the home. The kitchen facilitates all of our cooking, and so much of our cleaning and activities. Sometimes the kitchen can be overwhelming–we may feel like the dishes will never be done, or our meals take too long and just aren’t healthy enough. When our kitchens are full of waste and harmful chemicals, we’re exposing our children to their grime and toxins. Our kitchens are a crucial aspect of our health. With these 20 easy steps to minimize waste in your kitchen,start cultivating a happier and healthier home. Paper towels are often used wastefully, then discarded haphazardly in the trash and deposed in a landfill. Instead, invest in microfiber cloths or sponges: they last longer, and are incredibly easy to sanitize. For instance, if your sponge is looking questionable simply boil it! Your sponge will spring back to life, completely clean! If you must use paper towels, use ones made from recycled paper–when you’re done with them, use them as compost instead of tossing them in the trash. Bulk shopping is not only cost-effective, but environmentally friendly! Food sold in bulk eliminates unnecessary, excess packaging. When shopping in bulk, be sure to minimize waste by utilizing reusable bags. If your bulk store “bags” via boxes, be sure to reuse the boxes–either bring them with you again, or find handy ways to use them around the house! It can be difficult to manage all the food in the fridge. Everything expires at different rates, and sometimes perishables get pushed to the back of the fridge and forgotten. Instead of letting food go to waste, take an active inventory of what’s going on inside your fridge. Move expiring foods to the freezer to maximize longevity, eat leftovers, and use your food smartly. Also, be careful not to re-purchase foods you already have–and if you do, make sure to prioritize the older food so that it is not wasted. Plastic ware and plastic food containers are not only wasteful, they are toxic to you and your children. Plastic dishware often contains harmful amounts of lead, phthalates, and other dangerous chemicals. Invest in stainless steel food containers, like those safely produced by Kangovou, in order to healthily store and carry your food while keeping it fresh. Having safe, reusable, stainless steel containers also encourages smart food choices by making it easy to bring nutritional meals from home to the school or office. After you’ve made your fresh pot of coffee, don’t throw away those grounds! Reuse your coffee grounds! Coffee grounds can serve as a chemical-free pest repellent, and a chemical-free air freshener! In fact, most scented candles and air-fresheners contain Volatile Organic Compounds, and are considered just as harmful as secondhand smoke! Coffee grounds will naturally keep away ants and eliminate odors, without harming you or your family. You can even sprinkle some coffee grounds in your potted plants to encourage growth! Like we mentioned above: air fresheners and scented candles are jam-packed with Volatile Organic Compounds, and can cause all sorts of respiratory complications and health problems. 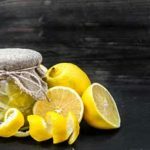 Instead of dousing your air with toxic chemicals, minimize waste and opt for natural air fresheners that better utilize the waste in your kitchen and better support a healthier home. Combat musty smells with simmering rosemary and lemon. Grind-up orange peels for a refreshing, tangy, citrus scent that is also a natural mosquito repellent. You can also effectively disinfect the air, and rid your home of bacteria, by spraying vinegar. House plants also cleanse the air, and herbal potpourri can add warmth to your home. Don’t toss bruised or overly-ripe fruit! There are so many ways you can take advantage of all the fruit you have, even if it doesn’t look pretty! Bake overly ripe or soggy fruits into desserts, breads, or pastries: those dark bananas actually make the most delicious banana bread! Can your fruit in mason jars for a much-later date, or dice your fruit and freeze it to be used again for smoothies. You can even turn old berries into jam! Got rotten fruits? Got vegetable scraps? Don’t throw them out–compost them! Past-date fruits and scraps of veggies are perfect to compost and use as a fertilizer! Composting is a great way to minimize waste and be more eco-friendly! Bottled water is extremely wasteful, and the quality of water is not necessarily better than what’s coming out of your tap. Buy a water filter, and drink tap water out of a glass, thermos, or reusable stainless steel water bottle! Our friends at Mama Hippie had a crucial suggestion for making your kitchen greener: opt to repair appliances instead of replacing them. It’s not only cheaper to repair your appliances, but it is actually less wasteful! Though you may want to splurge for fancy low-energy appliances, using your current appliances to their fullest extent is actually less wasteful than tossing them prematurely. Planning your meals ahead of time will help you shop smarter, ensuring you don’t overbuy certain ingredients and then waste them. Planned meals help you eat healthier, too! When you’re planning your meals, you may want to reserve a “catch-all” day that specifically accounts for all of your unused foods! Tracking the portions served to both you and your children encourages healthy eating habits and minimizes waste in the kitchen. It is always easier to get a little second helping than it is to salvage the picked-through, partially-eaten remnants on someone’s plate. Make sure your food is being stored is safe, air-tight containers that lock-in freshness and keep-out bacteria. Know what should go in the pantry and what should go in the fridge, and know when to move aging foods to the freezer to maximize their longevity. 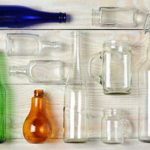 Because it is easiest to recycle with the least impact on the environment, glass should always end-up in your recycling bins and not the trash. Glass can also easily be reused. There are so many ways to make jars and glass bottles into pots, organizers, or drinkware. Get creative! Glass jars are popularly repurposed for organizing purposes or collected for fun crafts! Did you know you can return plastic grocery store bags to the grocery store? Now you do! If you don’t want to recycle those wasteful plastic bags, be sure to return them to the grocery store where they will absolutely be reused–or, reuse them yourself on your next several trips! Safe Mama advocates for silicone as a safe food storage option. Lots of silicone dishware is dishwasher safe and microwave safe. Silicone is also phthalate-free, lead-free, and PVC-free. Like with our safe, stainless steel dishware, silicone helps keep your food smartly organized and fresher for longer, reducing overall waste in your kitchen. 18) Let There Be (Eco-Friendly) Light! Use LED bulbs and LED lighting in your kitchen. These eco-friendly fixtures can save 90% of your energy, reducing costs and waste. Eco Warrior Princess crucially notes that avoiding meats can dramatically decrease your personal environmental impact. Choosing plant options like fruits, veggies, beans, and grain, lowers your carbon emissions. Dairy and meats are also finicky when it comes to storage and expiration. Reduce your kitchen waste and make a positive impact on the environment by opting for plants as often as you can! Like coffee grounds, fruits, and vegetable scraps, your Eggshells can be reused! Grind-up eggshells and put them in your potted plants to add calcium, or add it to your coffee filter to make coffee taste less bitter.